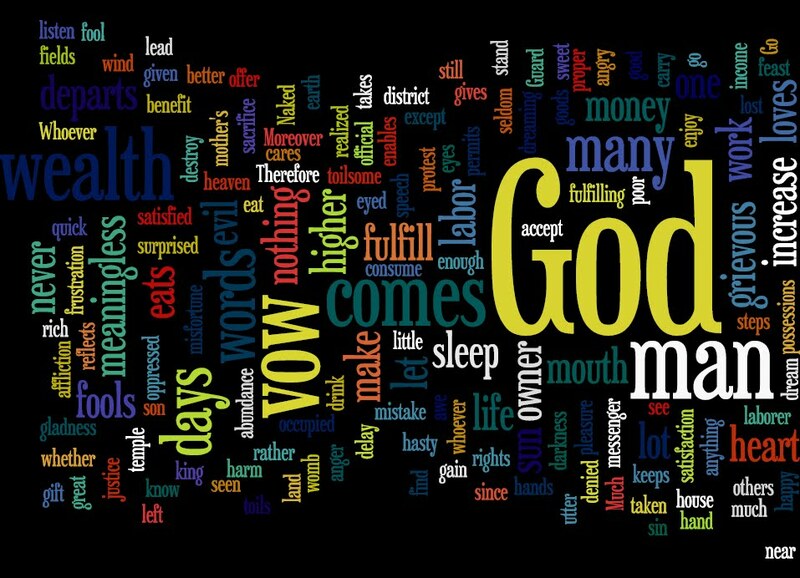 I’ve been preaching my way through Ecclesiastes this summer, and I have been surprised at how many people comment that Ecclesiastes is their favorite book of the Bible. The reasons vary, but most seem to agree that the raw, brutal honesty of the Teacher’s commentary on the meaning of ‘life under the sun”. Ecclesiastes articulates what they have experienced. When reading Ecclesiastes one must remember that the Teacher is confronting us with our shallow theism or practical atheism. He is saying, “Let’s assume this world is all that there is. Is there any reason to believe that life should have anything to offer us in the form of lasting meaning or significance? 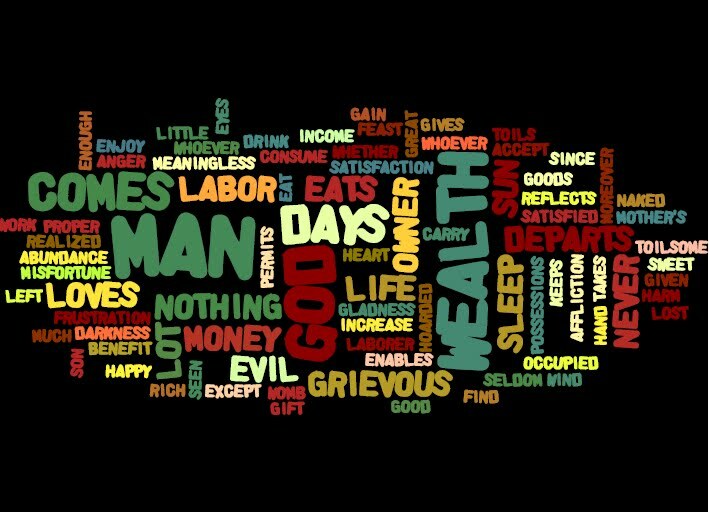 No,” he says and adds over and over: “…it is meaningless, vanity, a chasing after the wind.” Ironically, Ecclesiastes isn’t ultimately about the empty, meaninglessness of life, but rather it is about joy. We want life to have meaning. We want life to be wholesome and enjoyable, and in fact it is when we realize that life and all that is it has been given to us by God. Later on in chapter five, the Teacher begins to let us know of the dangers to that joy and one of those is embittered outrage. The teacher says in Ecclesiastes 5:8, “If you see oppression of the poor and denial of justice and righteousness in the province, do not be shocked at the sight, for one official watches over another official, and there are higher officials over them.” What he is saying is, you will see injustice, and not only will you see injustice, but you will see the means by which justice is to be maintained actually thwart justice through its organization. The Teacher warns us, “Do not be shocked at the sight.” Now, the caveat is that injustice and oppression is shocking; it should be resisted and fought for. However, if people getting what they deserve (and most of all — you getting what you deserve) is the thing by which you have built your life upon–you are sunk. In fact, last year this heart malady has been labeled: Post Traumatic Embitterment Disorder, and some are encouraging it to be identified as a form of mental illness. No doubt it can make you sick with grief, rage, or revenge. There is no joy for the embittered, but instead there are unending nights of lying awake while playing conversations and circumstances over in your head fueling the fire and becoming more an more embittered. And once bitterness has taken root? Well, if we allow it to grow up, the author of Hebrews tells us that we will miss the grace of God. So maybe you’ve been deeply wounded by a betrayal or failure of a friend. Maybe justice which was being delivered by organizations for that purpose caused a miscarriage of justice. How do you move on? The answer is what we are in danger of missing: the grace of God. Whenever I am hung up on a wrong I have perceived has happened to me, I want to cry out with Mary Chapin Carpenter, “Give me what I deserve, ’cause it’s my right.” However, when I’m thinking soberly, I remember what I deserve, and that I did not receive justice, but I received mercy. My ability to forgive others comes not from my own rightness and proper sense of justice, but it comes from the fact that Jesus Christ took all my debts –all my unjust and cruel acts upon himself. Have assumed all my debts, he also takes upon himself all the debts that others owe me. It is such an important truth to remember, that Jesus taught us to pray, “forgive us our debts as we have forgiven our debtors.” Indeed it is so important for us, that Jesus also said, “if you do not forgive men their sins, your Father in Heaven will not forgive yours.” It is not that my forgiving gets me out of trouble with God, rather it means that if I’m forgiving, I apprehend how much I’ve been forgiven. There is much in our lives, in the news, and about the circumstances we face, that could lead us to an embittered outrage. Do not be shocked at how bad the injustice, but rather be shocked that the Son of Man who was just was given over to injustice because he loved you, and gave himself for you.